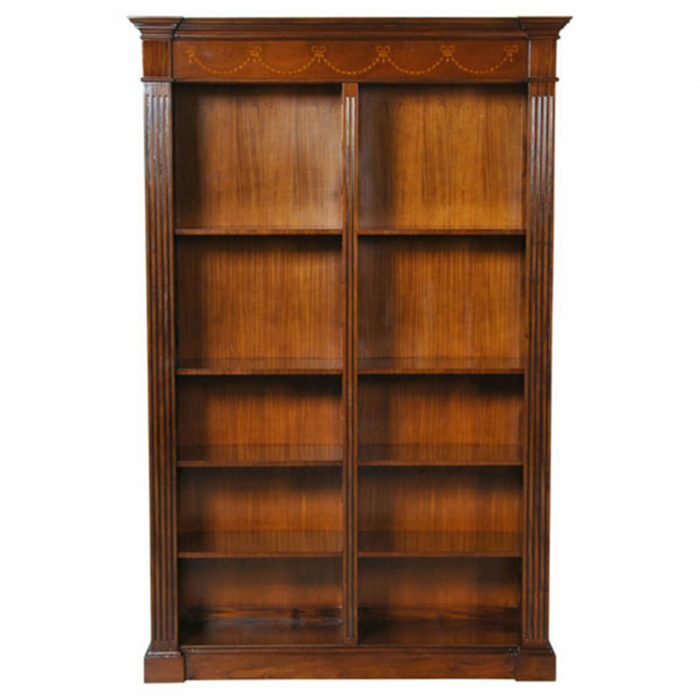 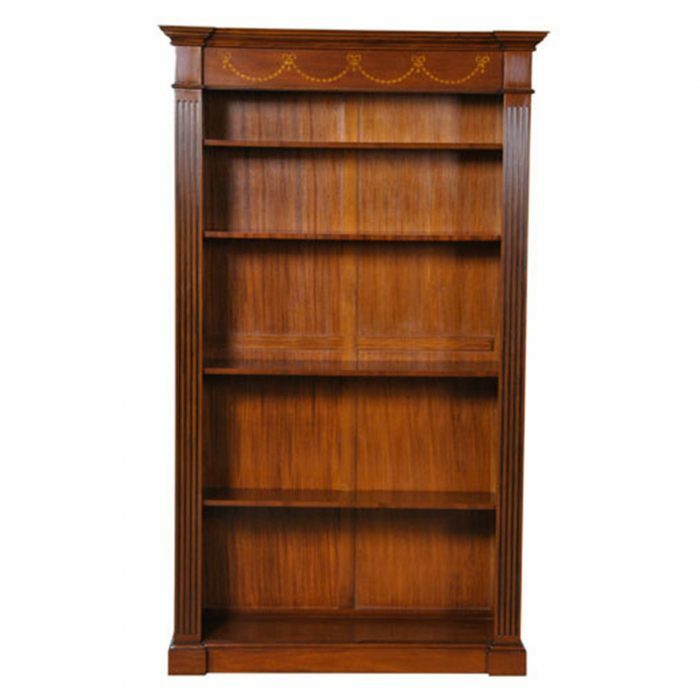 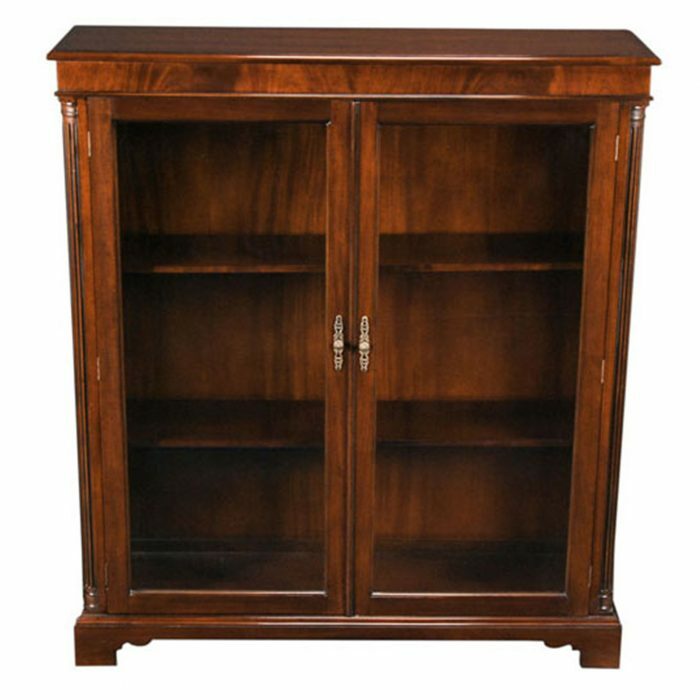 This Waterfall Mahogany Bookcase bookcase from Niagara Furniture takes its “waterfall” name from the sides of the piece which appear to cascade downward into larger and larger storage areas. 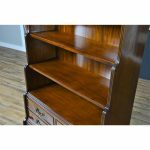 With three stationary shelves, a display shelf as well as six drawers this item packs a lot of features for it’s size. 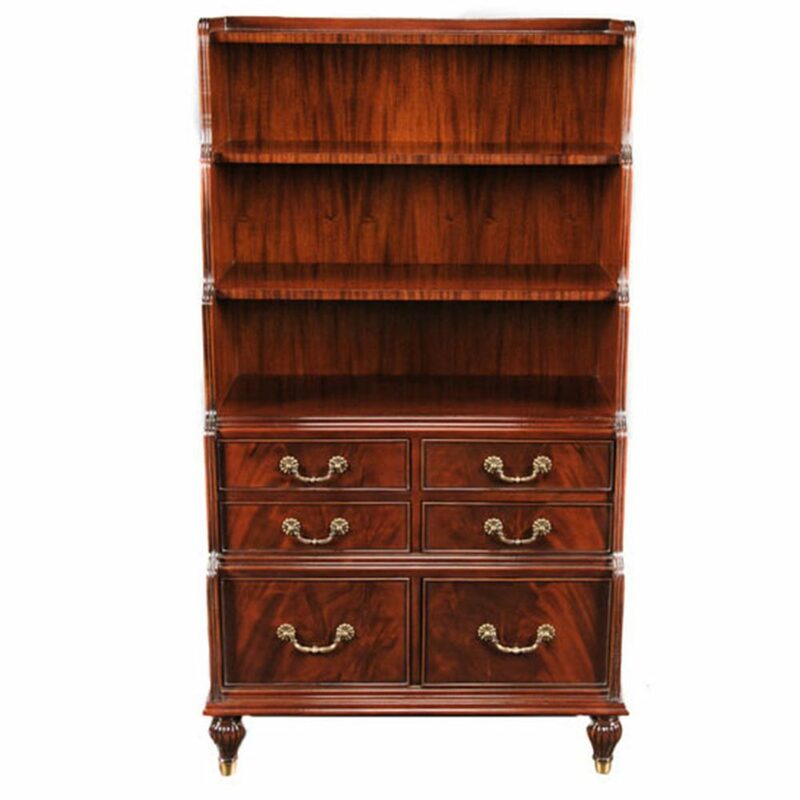 Ideal for displaying items in the upper sections the drawers below are large enough to provide storage for your out of sight items. 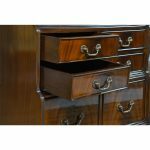 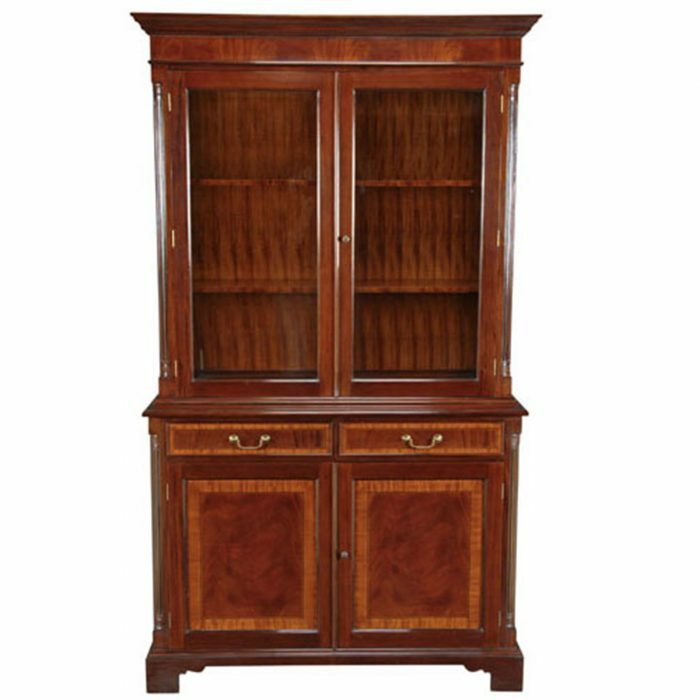 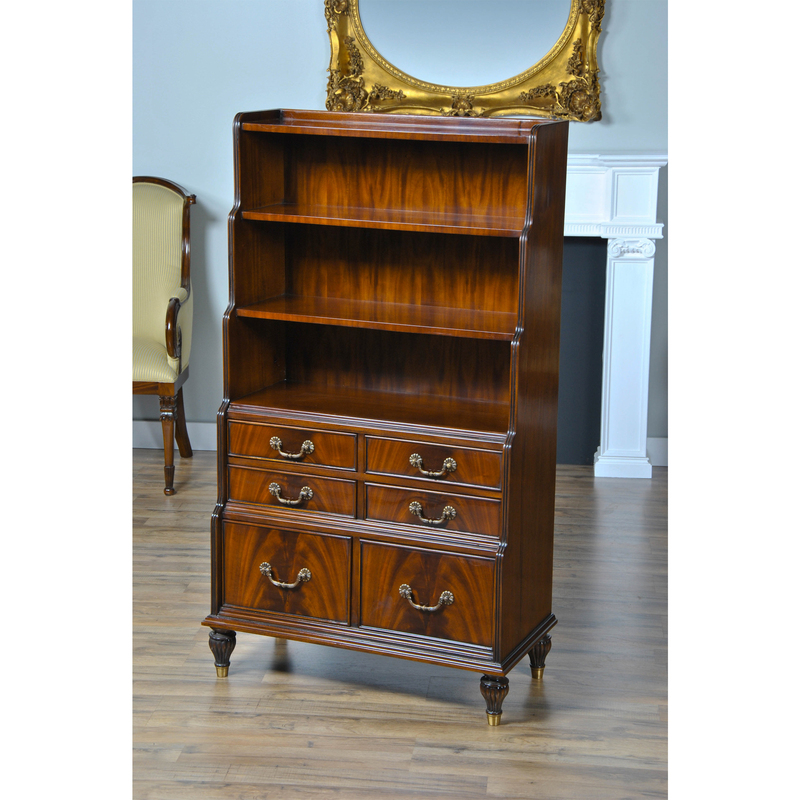 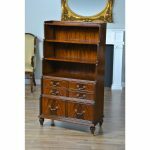 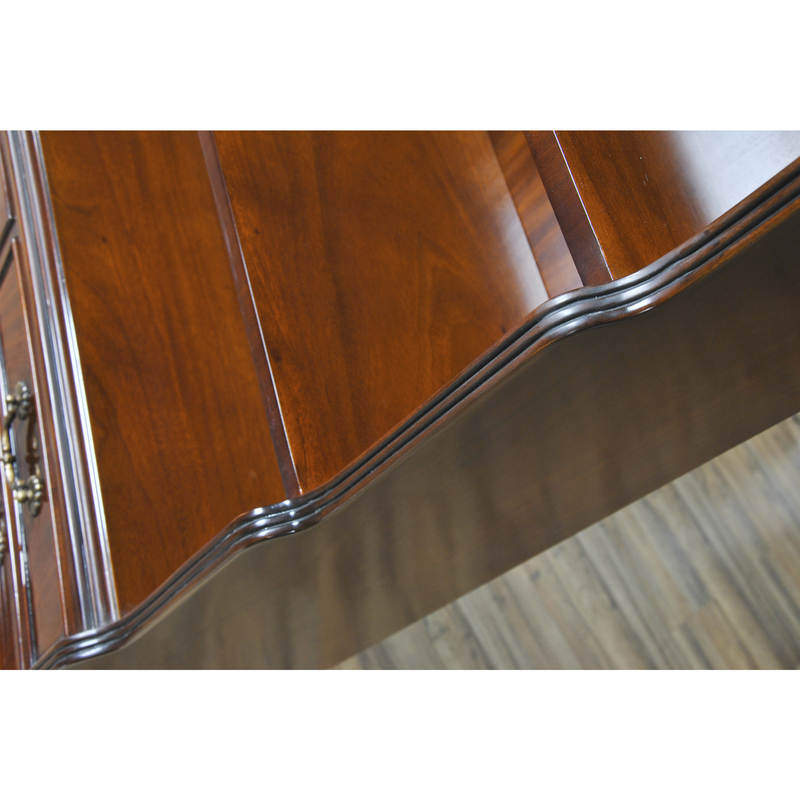 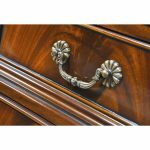 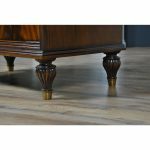 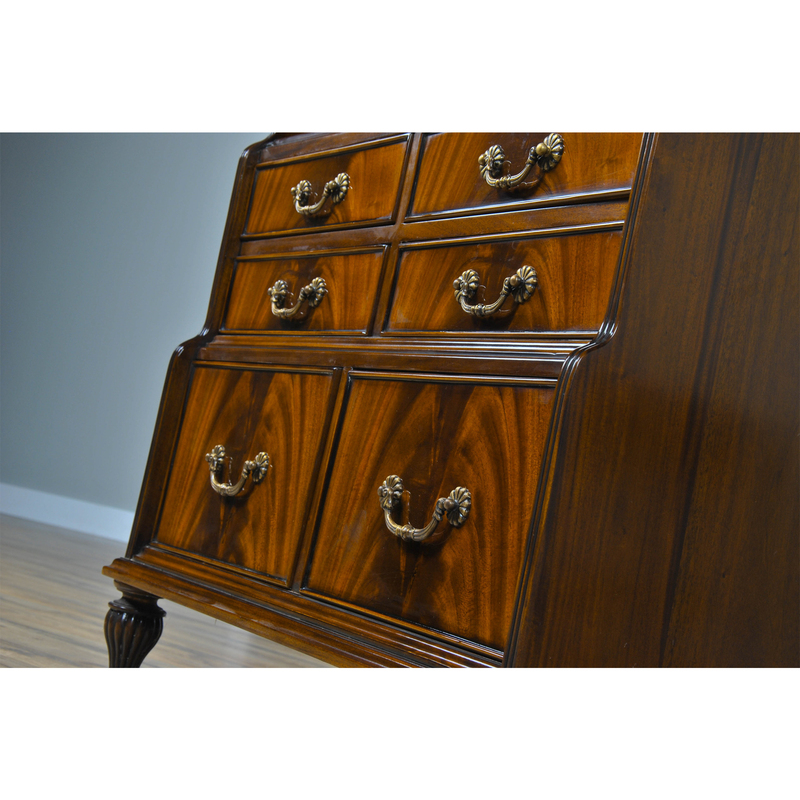 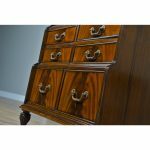 Great quality construction features include dovetailed drawers, reeded moldings along the sides. 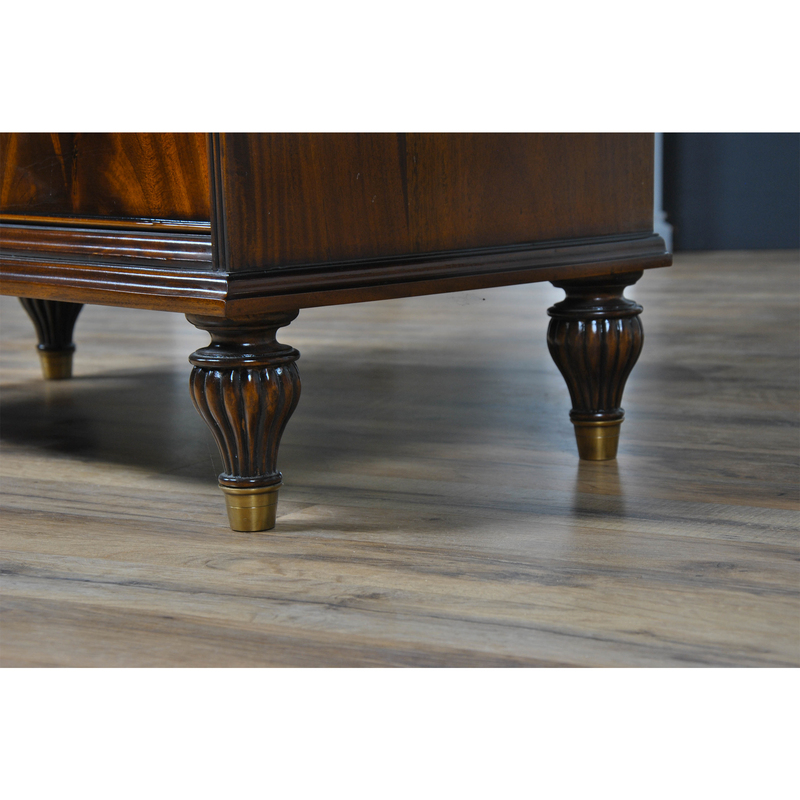 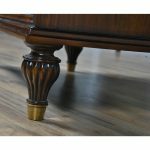 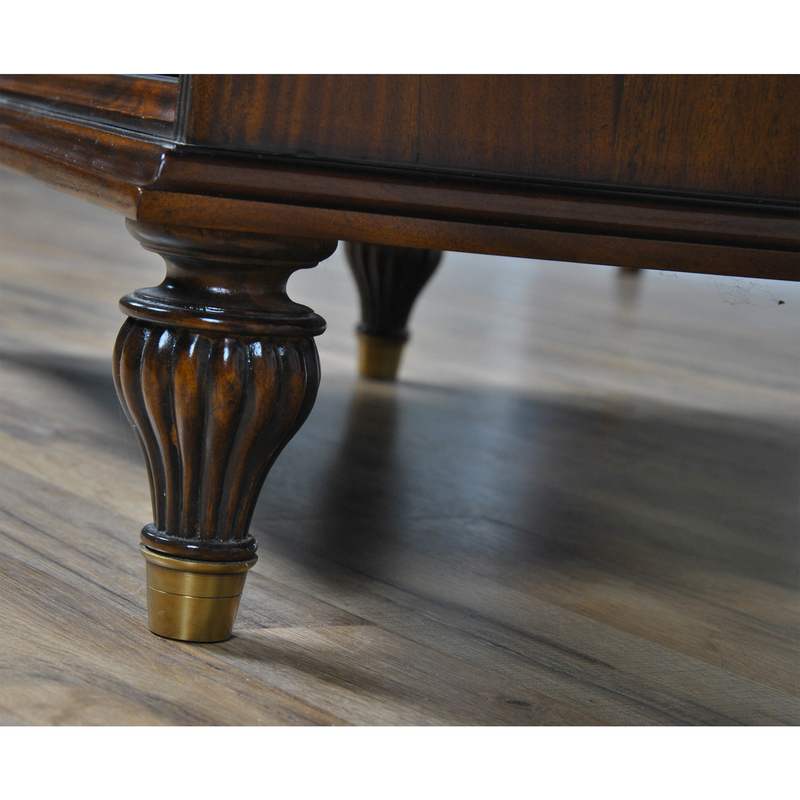 and reeded, solid brass capped feet. 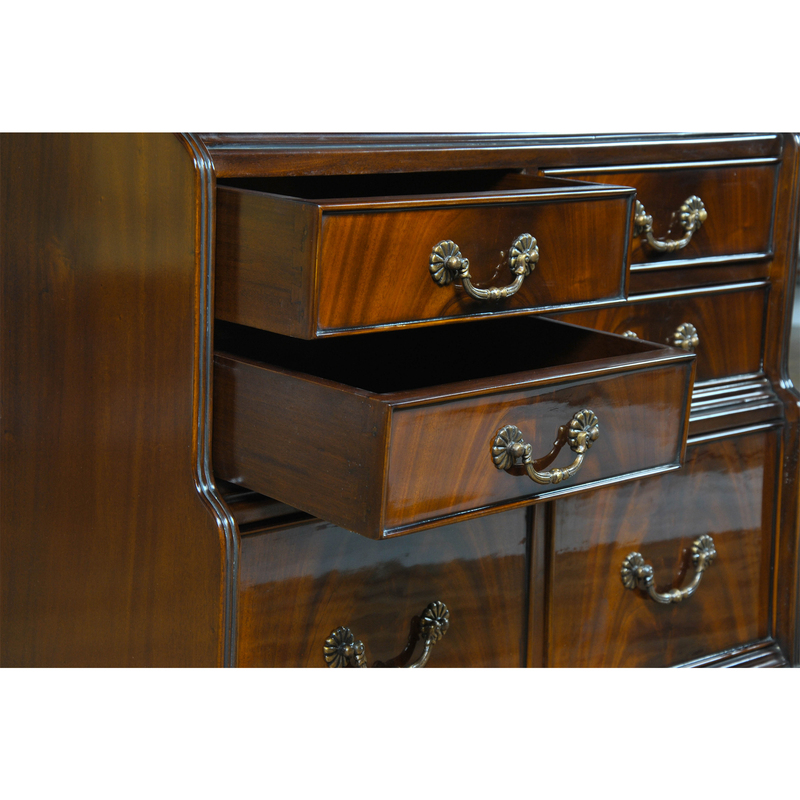 Decorative and useful anywhere in either the home or the office.